Ok, now that you have all the exciting details, let's talk about my last card for this hop! 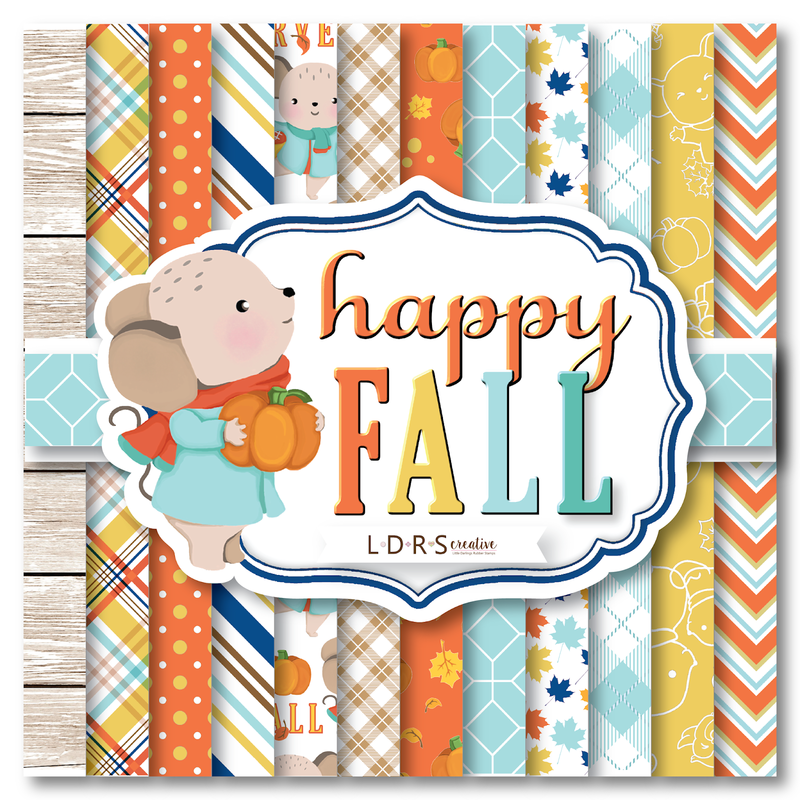 I absolutely had to use the adorable critters from the Happy Fall Stamp set. I stamped them and colored them with Copic markers. I stamped the tiny leave from that set mutiple times in the air around the characters because it seemed like such a fun, fall scene that I was envisioning wind blowing leaves around. I've mentioned that it's well over 100 degrees here, right lol?! Clearly I have fall on the brain! 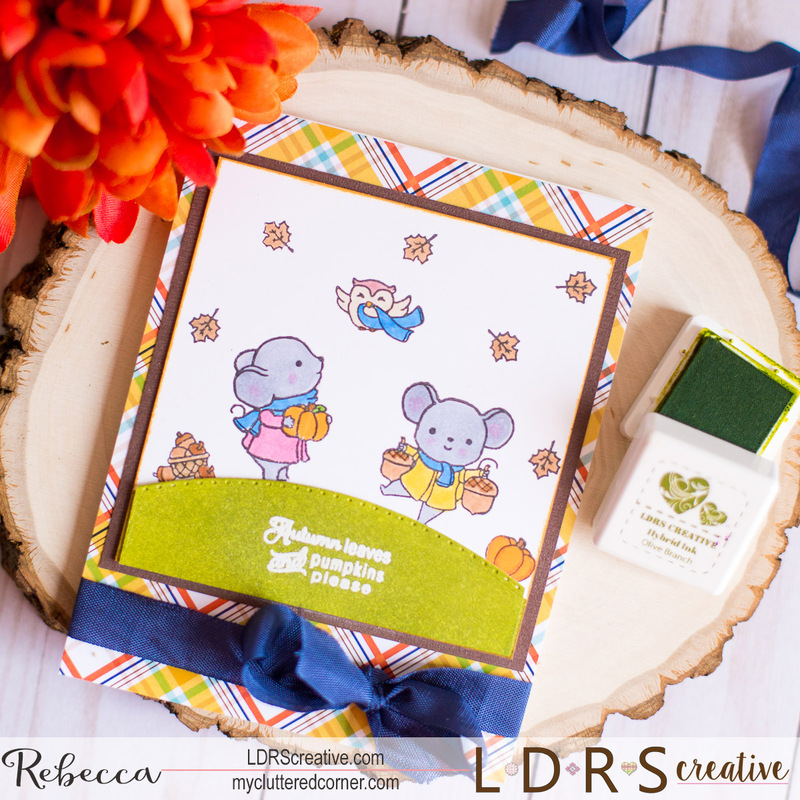 I wanted my little mice standing on a hill, so I took a piece of white cardstock and blended the Olive Branch Hybrid Ink cube from the Jewelry Beads set on it to create a nice fall, grassy green and then die cut the hill with a die from the Cutting Edge Borders I set. 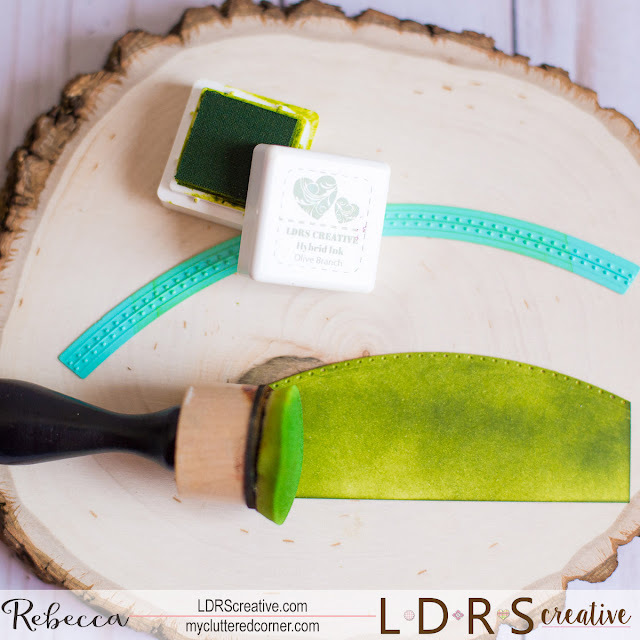 Once the hill was dry, I treated it with antistatic powder and then used LDRS Creative Watermark Ink to stamp the sentiment as well as White Embossing Powder. My scene was mounted onto brown cardstock and then I layered that over a 4.25 x 5.5 inch panel from the Happy Fall Paper Pad. I LOVE the patterns in that pad! Thanks for stopping by! Check out all the products in this release down below! Adorable card!! 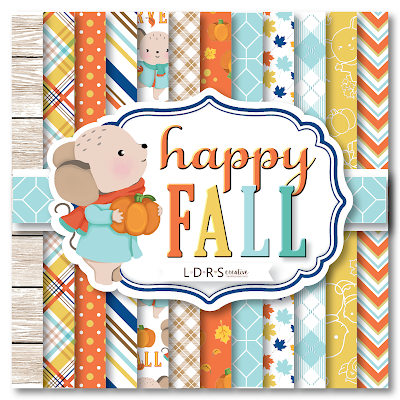 I love the Happy Fall Set!! Such a sweet card! 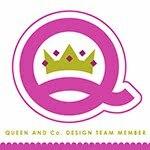 Love the bright, happy colors and that plaid paper. The bow is a beautiful color and adds a touch of special. Adorable scene! I love the mice and the owl! Oh my!!! Your card is so sweet and cute!!! What a sweet and happy card! 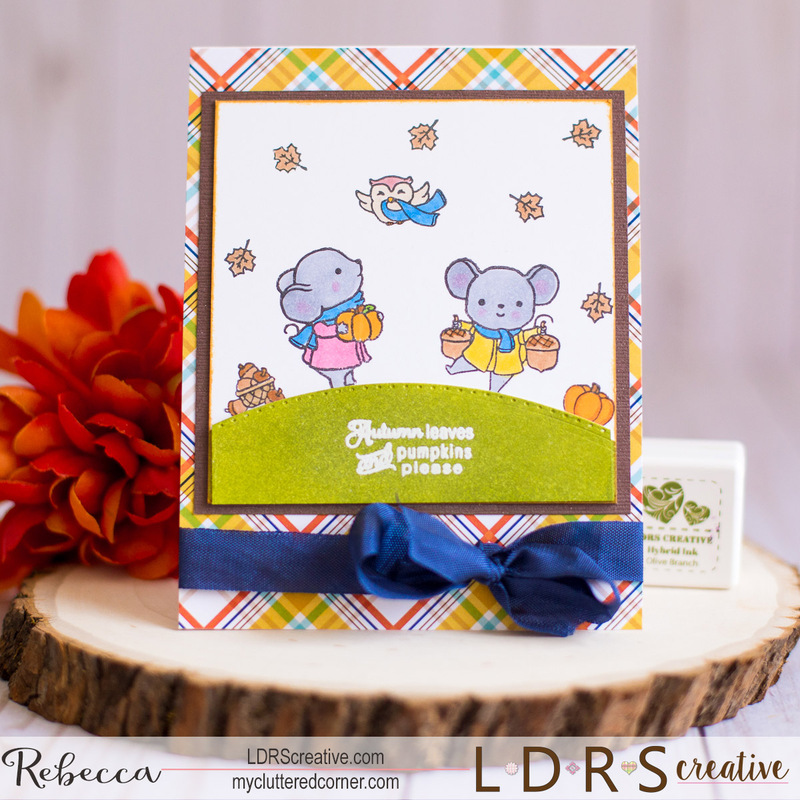 Adorable scene and I love your layers of ink blended cardstock, patterned paper and the pretty ribbon. This is SO FUN! I love the pattern papers! AWWWWWW what a sweet card! Your coloring is excellent! I also really love the pattern paper that you chose to use with it/it matches just perfectly with your stamps! Adorable. I like your coloring and the plaid paper.